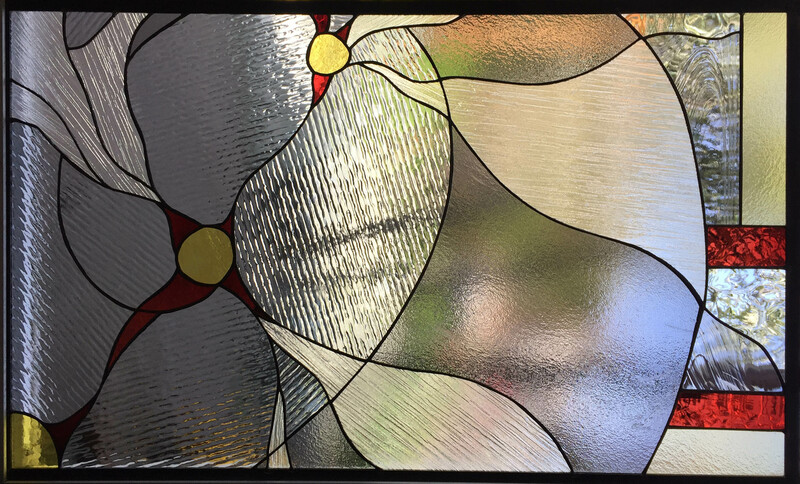 Abstract Clear – Feral Studio Custom Leaded and Stained Glass Windows for the San Francisco Bay Area, Berkeley, Oakland, Piedmont and the East Bay. This large window created a privacy screen with the neighbors. It allows plenty of light to enter while acting as a radiant piece of art.